​Huddersfield Town host Leicester City on Saturday afternoon, playing their first game since relegation to the Championship was confirmed. 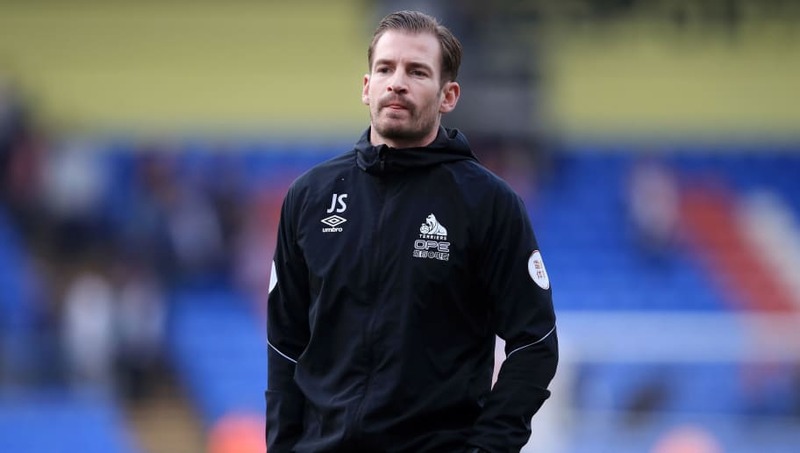 Manager Jan Siewert has been unable to halt the slide since taking over from David Wagner in January and now must use the last few games of this season as preparation for next year's campaign back in the second tier. Here is how his side is could line up for the ​clash at the John Smith's Stadium on Saturday. Jonas Lossl (GK) - Missed the defeat at Crystal Palace last weekend but has been a near ever-present in the club's two seasons in the Premier League and is expected to return to the side in place of Ben Hamer. Tommy Smith (RB) - Club captain Smith should keep his place on the right side of Huddersfield's defence as they look to keep just their second clean sheet of 2019. Christopher Schindler (CB) - The German defender has proved over the course of his three years at the club that he is the best centre back they have. He will be given the main responsibility of attempting to stop Leicester striker Jamie Vardy. Jan Gorenc Stankovic (CB) - The 23-year-old could play ahead of Terence Kongolo for the visit of ​Leicester and in doing so would be making just his seventh appearance in the league this season. Erik Durm (LB) - The seven-time Germany international has struggled in his first year in the Premier League but has shown glimpses of quality in recent weeks despite the team continuing to drop points. Juninho Bacuna (CM) - The Holland Under-21 international has been a key member of the team since Siewert became manager and bagged his first goal for the club in the 4-3 defeat away at West Ham. Jonathan Hogg (CM) - The workman-like midfielder has been an important presence in the ​Huddersfield midfield this season with his ability to win the ball back but, as with the majority of the squad, his quality on the ball has not been at the required level. Aaron Mooy (CM) - Without a doubt the club's best player and, despite not being at his best this season, will have plenty of admirers in the summer. The club will go down but expect to see the Australian in the Premier League again at the start of the 2019/20 campaign. Alex Pritchard (RM) - The majority of the club's attacking play goes through the 25-year-old but he has not been good enough for them this season. The former Tottenham playmaker has only scored once and is yet to register an assist. Chris Lowe (LM) - A player who has now experienced both promotion and relegation with the club and always gives everything out on the pitch. Has a strong relationship with the fans and is likely to stay on next season as they try to get themselves back into the top flight. Karlan Grant (ST) - Despite only joining the club in January he is the side's top scorer with three goals. Has looked an excellent signing and, at just 21 years of age, there is clearly a lot of potential which may lead to him staying in the Premier League next season.